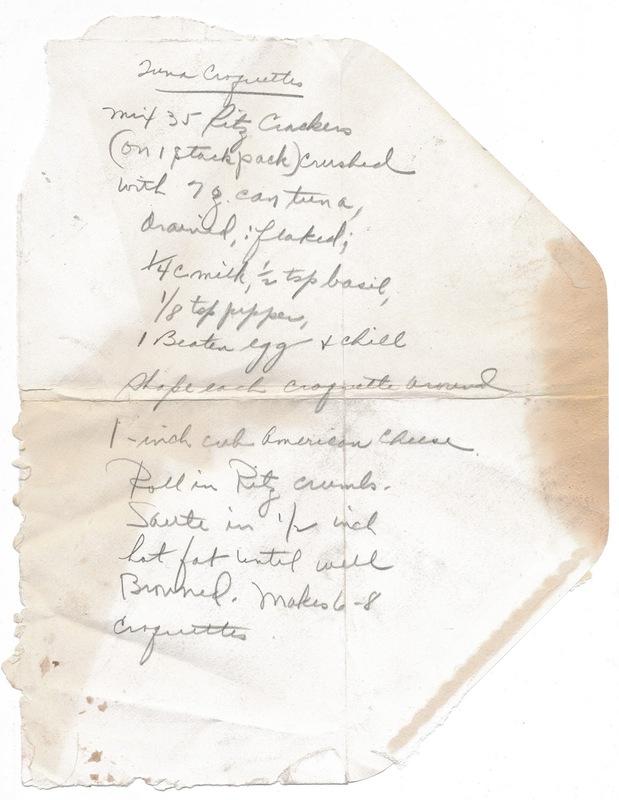 Here's another found recipe that's featured in my book HANDWRITTEN RECIPES. Mix together all ingredients except cheese, reserving some cracker crumbs, and chill. Shape each croquette around a cube of cheese. Roll in remaining cracker crumbs. Sauté in ½ inch of hot fat until well browned. Makes 6 to 8 croquettes. Found in Gateway to the Great Books, vol. 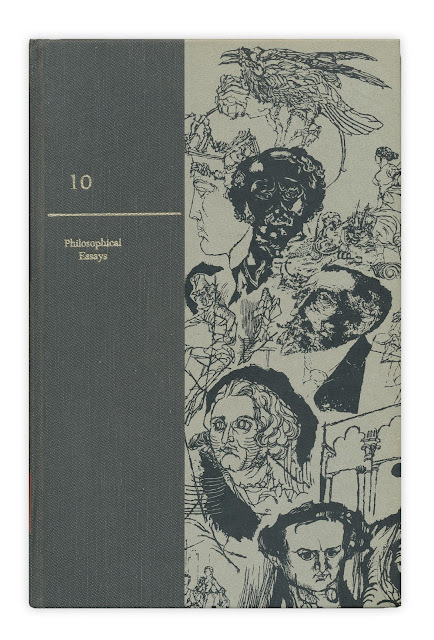 10: Philosophical Essays edited by Robert M. Hutchins and Mortimer J. Adler. Published by Encyclopedia Britannica, 1963.